The DJ-RSI test was developed to measure how an athlete copes and performs during plyometric activities by measuring the muscle-tendon stress and their reactive jump capacity. What is the Incremental DJ-RSI test? 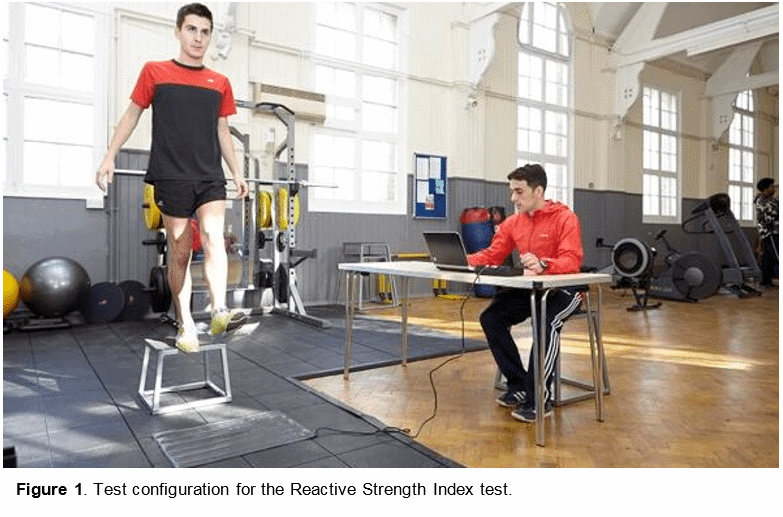 The incremental drop jump reactive strength index test was developed to measure the reactive jump capacity of athletes, and to determine how they cope with the stress imposed on their body from plyometric activities. 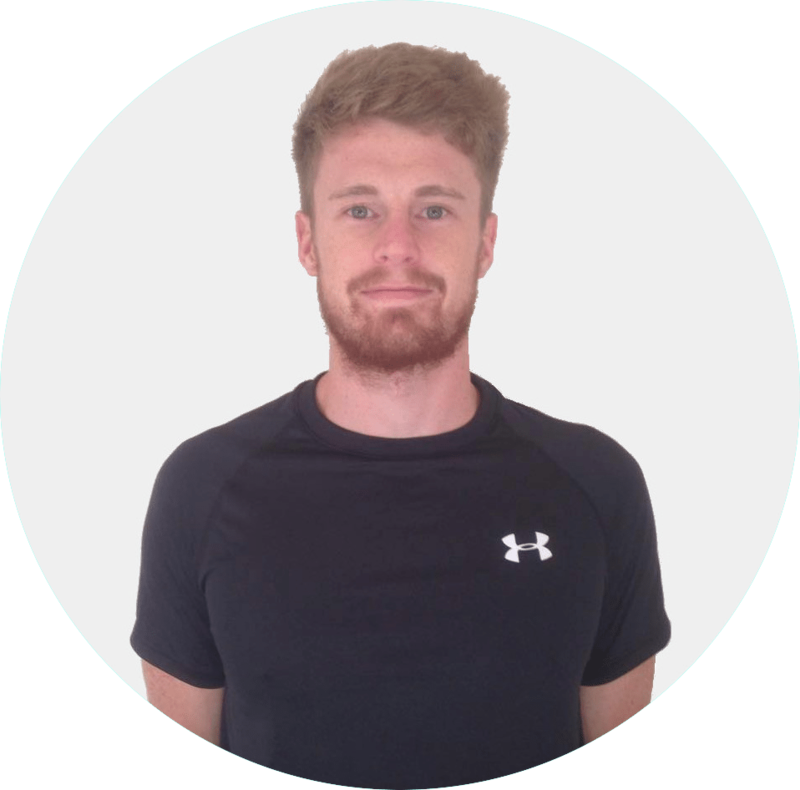 The ability to quickly and effectively transit from an eccentric to a concentric contraction is a physical quality typically referred to as ‘reactive strength’. Thus, this test reports an athlete’s reactive strength index (RSI). Whilst this test does provide a valid, reliable, and useful measure of jumping ability, it is however inherently flawed by its inability to measure very-fast and very-slow plyometric activities. The incremental DJ-RSI involves an athlete performing a drop-jump on a contact mat or force platform. 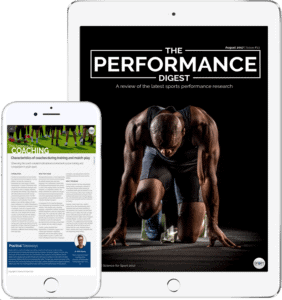 Though the terms ‘drop-jump’ (2, 3) and ‘depth-jump’ (4, 5) are often used interchangeably in both practical and research environments, the term ‘drop-jump’ is preferred as it implies the athletes simply drops from the box. The test was developed to measure how an athlete copes and performs during plyometric activities by measuring the muscle-tendon stress and their reactive jump capacity (5). It demonstrates an athlete’s ability to rapidly change from an eccentric motion into a concentric muscular contraction and is an expression of their dynamic explosive vertical jump capacity (1). The index is a useful tool for testing an athlete’s reactive jump capacity, monitoring training progress, and even as a tool for monitoring fatigue. It can also be used to provide recommendations for an athlete’s optimal drop height for plyometric exercises (6). In recent years, many variations of the RSI have been developed which can also be used to evaluate the explosive capacity of other plyometric exercises (7). For a more in-depth discussion on the Reactive Strength Index – Click Here. Athletes typically begin the test from the 30cm box and work upwards in a successive order towards the 75cm box. 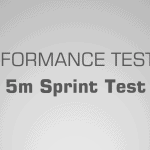 However, the test ends once the athlete’s contact time increases beyond 0.25ms (end point of the fast stretch-shortening cycle), whether that is on the 30cm drop jump or the 75cm. Alternatively, the test ends at the moment the athlete’s performance begins to decline (Figure 2). Whether the athlete places their hands on their hips throughout the test is down to the test administrator’s discretion, as both methods have been shown to be reliable (5). However, it must be understood that similar vertical jump tests have shown that the arm-swing can improve performance (8). The athlete is instructed to stand on top of the box facing towards the force platform. When instructed by the coach, the athlete then steps-off the box and performs a typical drop-jump, landing in the same spot as they took off. This must be repeated for a minimum of three efforts so a performance average can be calculated. Flight time is quite simply the total time the athlete is in the air during a jump – from when they break contact with the floor, to when they first touchdown upon landing. This is often measured using a jump/ contact mat, however, results can be easily influenced by body position during take-off and landing. For example, if an athlete bends their legs during flight, this can alter the results and affect the accuracy of the test. Time to take-off includes the eccentric and concentric phases of the stretch-shortening cycle (7). Though both jump height and flight time can be measured directly and accurately, numerous professionals prefer to use flight time as opposed to jump height because it is easier to obtain and less time consuming. It makes little difference which calculation is used as jump height and flight time are strongly correlated as both are a straight mathematical derivation (9). If using a force plate, it is better to use jump height based on ground reaction forces as this has been suggested to provide a more valid RSI measure. If no force plate is available, then using flight time calculated from a contact mat also works well and is often used in research and practical settings. Table 1 and Figure 2 demonstrate how the data is recorded and then displayed. Participants jumping off the box rather than simply ‘stepping-off’. 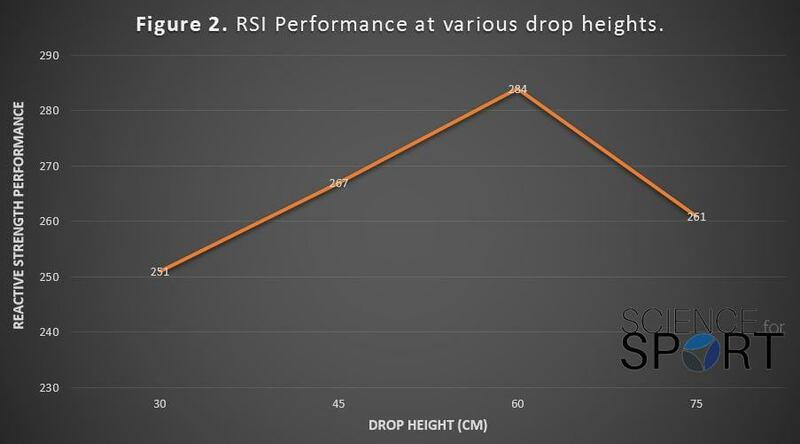 The incremental DJ-RSI test has been proven to be a valid and reliable measure of reactive jump capacity (5). As both flight time and jump height are reliable measures with a perfect correlation, either can be used with confidence to calculate RSI. One of the primary issues with the incremental DJ-RSI test is the duration of the ground contact time of the test used. For example, the ground contact time during the DJ can range between 130-300ms (2, 3). As the ground contact time of many sporting movements can be significantly less than this (Table 2), there is concerns regarding the tests ability to actually measure sport-specific reactive strength. Therefore, using the incremental DJ-RSI test may not be a useful test for sprinters as their ground contact times are significantly faster. In this instance, alternative RSI tests such as the 10/5 may be more applicable due to the shorter ground contact times and the higher-frequency of jumps. 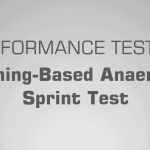 Practitioners should be well-aware of this issue when testing their athletes and pick a test which better suits the demands of their athletes. Performance Testing entails many, many topics. 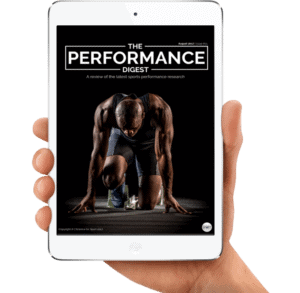 By choosing to simply read up on The Incremental DJ-RSI Test and ignore the sea of other crucial Performance Testing topics, you run the risk of being detrimental to your athlete’s success and not realising your full potential. To make you an expert coach and make your life as easy as possible, we highly suggest you now check out this article on The Countermovement Jump (CMJ) Test.